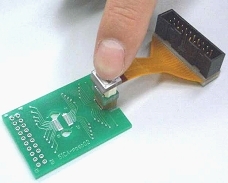 Enables writing to the flash microcontroller without a connector in the final product. 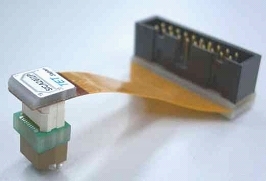 Can be used with the pad of the SICA connection socket (SICA2P20S). You can select, for instance, SICA (connector type) for debugging, and connector-free type, using this product, for mass production. Can be used with all the SICA 2.54mm pitch types, thus providing an excellent cost-performance. Supports lead-free soldering, thus being an environmentally-friendly product.